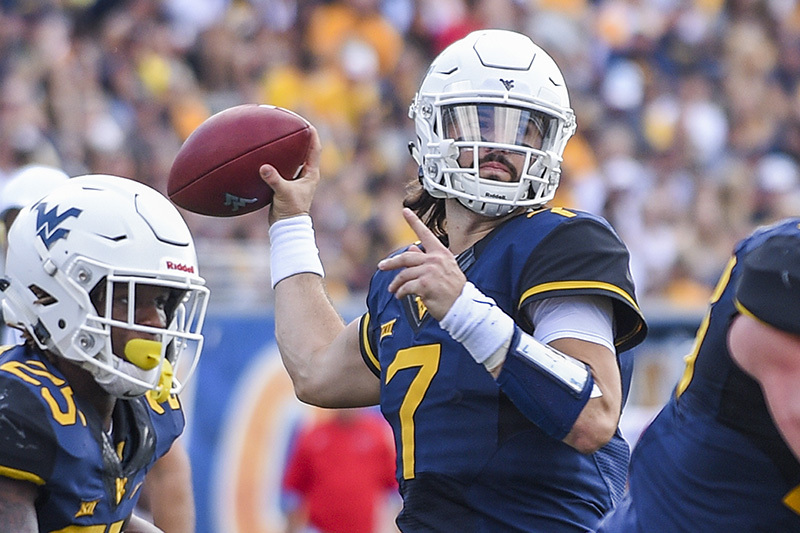 Mountaineer Touchdown Challenge 2018 – Are you ready? Football is in the air and that means West Virginia University Libraries and the WVU Department of Intercollegiate Athletics are teaming up once again for the Mountaineer Touchdown Challenge, our annual fundraising campaign to benefit the Libraries. The initiative, in its eighth year, has provided for many needs of our students. This year alone we have updated all of our professional testing and career preparation books, purchased new DSLR cameras and graphing calculators for Access Services to lend and are updating monitors and technology in the Health Sciences Library study rooms to allow for wireless syncing from any device. Several months ago, Challenge money also provided for a new poster printer on the Health Sciences campus. Hundreds of posters were printed for research symposiums like Van Liere Research Day. Graduate and undergraduate students alike reap the benefits. As a participant in the Challenge, you pledge any dollar amount for each touchdown the Mountaineers score during the 2018 season and subsequent bowl game. The proceeds will support new projects with direct student impact within the Libraries. Mountaineer coach Dana Holgorsen has been involved in the Touchdown Challenge since arriving in Morgantown in 2011. He said he and his team find it rewarding that they are bolstering academics by winning games. The Libraries will continue to consult with our students to determine where best to direct funds raised during this year’s Touchdown Challenge. To accept the Challenge, visit give.wvu.edu/touchdown-challenge. For more information, contact Paula Martinelli, Development Director for WVU Libraries, paula.martinelli@mail.wvu.edu or 304-293-0303.